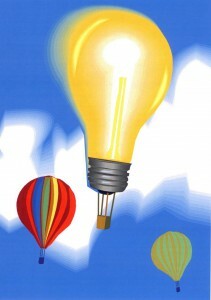 Lift off with bright ideas to teach what is trending in education at Attentionology’s anniversary time. Finding effective ways to keep kids focused and on task is always trending! “things” like developing and following a curriculum to help children master grade level skills as they maturate through school. That said, all teachers know that “things DO change. No question…our world has changed drastically since 2010 when I started writing and publishing this blog! So, as we celebrate seven years here and counting, I’m offering a look at what’s trending in education at anniversary time. Check out some “tricks” that I have created for every trend identified…easy to implement activities that teach what is trending now. What’s Trending: Character Education – Character Education is trending BIG. This trend speaks in part to the politicized society that so many of us inhabit, one dominated by popular cultures that often counter the teachings of “character education.” What is a teacher to do? 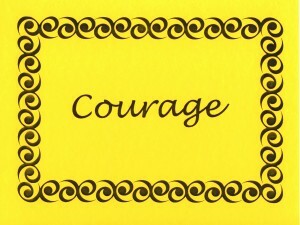 Courage is a character trait to pack for life’s journey. Character Education is trending now. Find suitcase shapes at a teacher supply store or cut out your own. Print character traits you teach on suitcase shapes (if they are large enough), one trait per suitcase, and post the suitcases below and around the header. If the suitcase shapes are small, print the character traits on colorful cards with decorative borders and post the cards and small suitcases around the bulletin board. Post sheets of colored construction paper in between and around the suitcases and cards. Explain to students that these sheets will frame poems students write about good character. R emember to listen as well as talk. E veryone is entitled to her or his opinion. S how consideration for people who are different. P lease and thank you are respectful words; say them often. E ven when we have a bad day, we still need to show respect. C all someone by his or her name when you speak with him or her. T ake time to think about how you can be respectful in school and at home. Turn your Pack Good Character bulletin board into an active teaching tool. 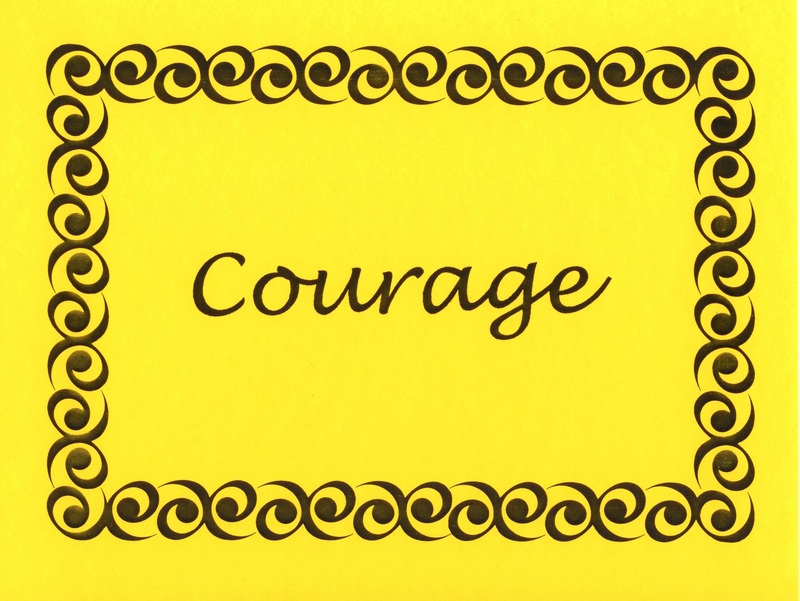 Invite students to choose a character trait card or suitcase, borrow it from the bulletin board, and pair it with a verb, such as the underlined words in the poem above, that puts the trait like COURAGE or RESPECT into action. Teach kids that the phrase, show courage and respect, means much more than the words courage and respect standing alone. Pic a pic! 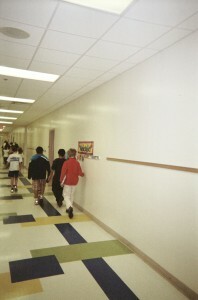 Each student walking in this school hall will tell a different story based on this photo. Pic a Pic for Storytelling – Schedule time for the class to collectively share stories that are based on photos you bring to school that students pick from to present for storytelling. Invite kids to pick a pic individually or in groups; study the photo they select for a few minutes; then stand in front of the class and tell a “quickly made up” story aloud that is based on the photo. For example, one photo may be of a soccer field or a school hall or gym; another of a kitchen or a home garden. Point out that stories are based on personal experiences. 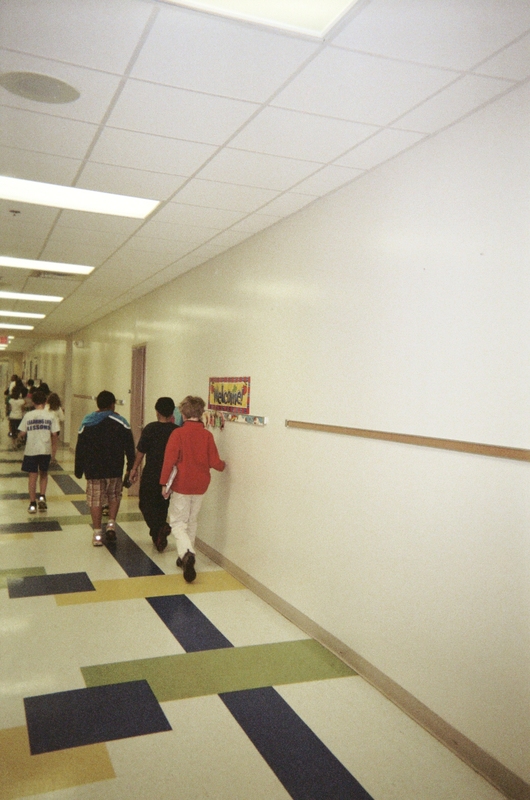 The same photo prompts different stories for different students as they use Constructivism. What’s Trending: Inquiry-based Learning – Inquiry-based learning may be considered a current “trend” in education, but in my view effective teachers have been using this approach (and these other trends) for as long as they have been teaching. 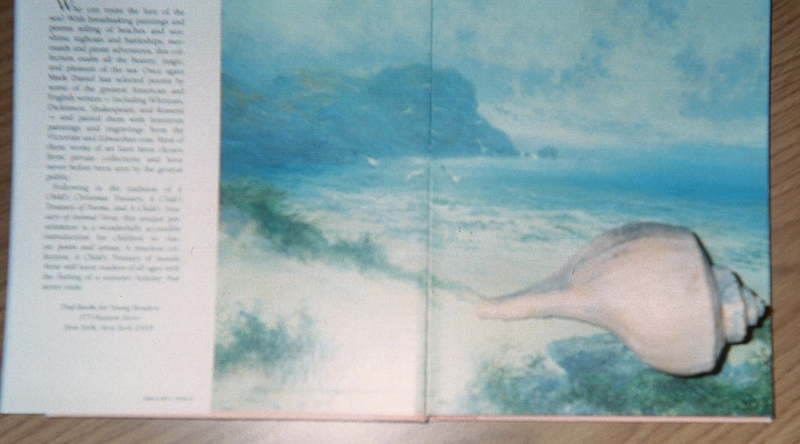 Create “ah-ha moments.” A welk – is it a seashell or a spinning top? Inquiry-based learning is trending at anniversary time here. The root of the word welk is from the Indo-European word wel, meaning “to turn or revolve.” Create an “ah-ha moment”…help kids see how the welk appears to be turning like a top. Schedule discovery time when students can pursue interests, learning through their own investigations. Soon students will learn that “ah-ha moments” can happen anytime, anywhere as they engage in the world around them.